Office space to rent in Mansfield is available. Both are offices with attached warehouses, in total about 2,500 square feet, which really is perfect for businesses with inventory and space issues, or businesses which expect growth in the new few years. Imagine what you could do with 2,500 square feet of industrial space in Mansfield. Companies in the trades, like electricians and plumbers, could have an office plus space for their equipment. So keep that in mind when shopping for office space for lease in Mansfield. The other thing we want you to keep in mind, and seriously consider, is that old real estate mantra location, location, and location. In other words, is Mansfield the best place for your business/office? Unless your business is Mansfield-specific, wouldn’t it make sense to consider locations other than Mansfield if they perhaps might offer you more traffic i.e. customers? In other words, if it were a known fact that you could substantially increase your business twenty miles from Mansfield, would you be interested? That’s the question many businesses now face with the opening of the newest business neighborhood in Tarrant County, the Fort Worth Design District. Just off I35W in the Alliance Area is a forty acre area devoted to industrial space. It is, without a doubt, the funkiest, most innovative, coolest industrial space in Tarrant County, so cool that people are driving over there just to see the unique architecture and graffiti art. There you will find offices available at Box Office Warehouse Suites for as small as 320 square feet and $875 per month. 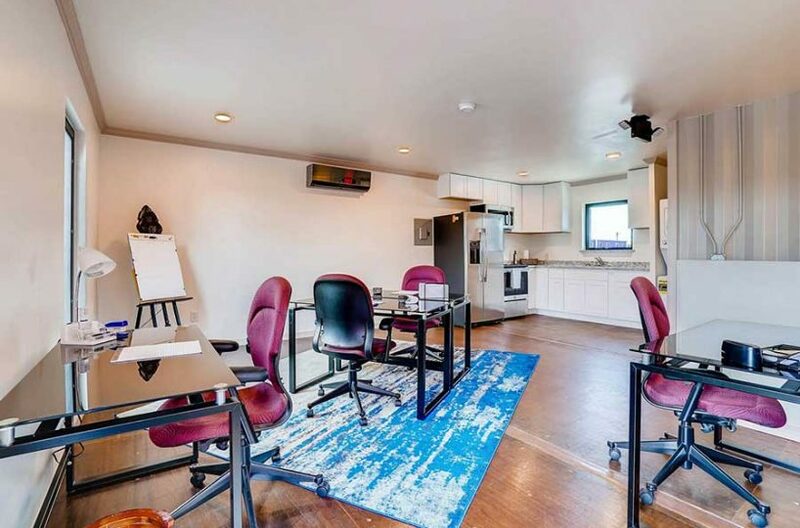 There you will find the opportunity to lease an office in a converted horse barn at Paddock Place Office Suites. And there you just might find the key to increased business in a supportive atmosphere. Mansfield? North Fort Worth? Both offer solutions to your commercial real estate problem, and both are worth consideration. Give us a call. We can help you decide. RDS Real Estate is a leader in leasing warehouse space, office space for lease, and multi-use space in Tarrant County, featuring industrial and commercial properties in Fort Worth, Haslet, Blue Mound, the Alliance Area, Arlington, Kennedale, and Haltom City. For more information about any of their properties, call Jim Eaton at (817) 439-3224, email leasing@rdsinvestments or visit RDSRealEstate.com. RDS is owned by Ron Sturgeon, a leading name in commercial property for lease in the Fort Worth area. 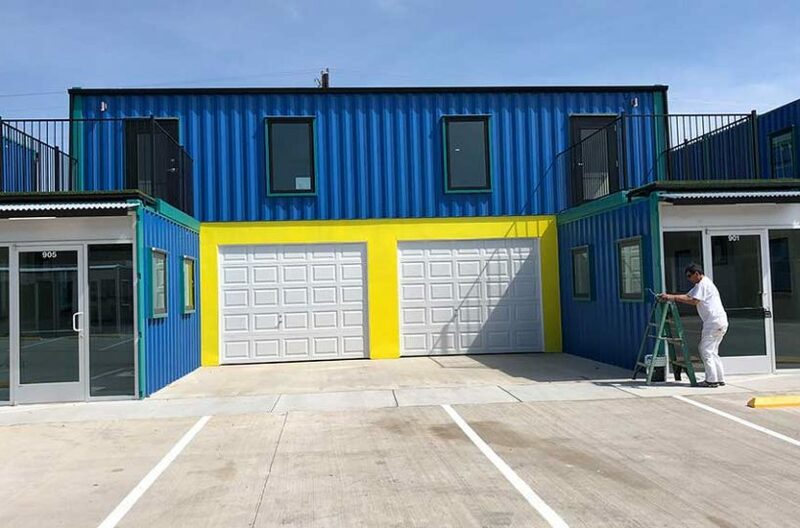 And for information about Sturgeon’s newest business park, Box Office Warehouse Suites, the only business park in Fort Worth made entirely from shipping containers, you can also contact Jim Eaton. Contact us and let’s get this done!